Publisher: Laboratory for Materials and Structures , T.I.Tech. Publisher: Materials and Structures Laboratory , T.I.Tech. 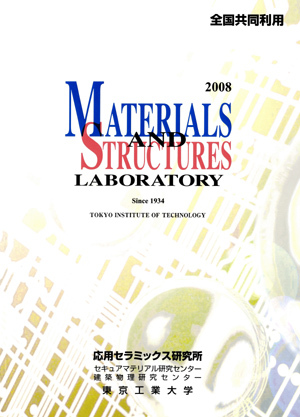 Publisher: Materials and Structures Laboratory , Tokyo Tech.. Copyright(c) 2016 Laboratory for Materials & Structures, Tokyo Institute of Technology. All Rights Reserved.